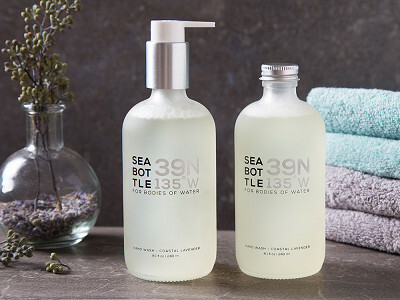 Sea Bottle’s natural hand wash drew us in with its fresh scent and skin-softening formula—and its mission to treat our oceans right. The sustainable soap is a beautifully presented alternative to the usual sink-side staple. 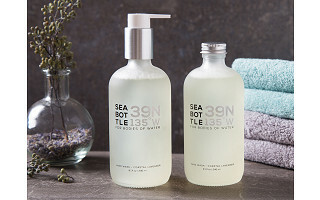 Friend to both your skin and the sea, it’s composed of natural ingredients like organic aloe and sea kelp extract—with parabens, phthalates, or anything else synthetic purposefully left out. Once it’s done leaving you clean, this soap won’t harm our waterways. The sleek frosted glass bottle (it reminds us of sea glass) boldly shows the Pacific Gyre’s coordinates, an area of the Pacific Ocean that’s been particularly hurt by humans. 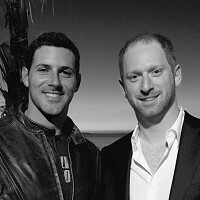 Founders Jaeson Plon and Bradd Kern created Sea Bottle after Jaeson, a surfer and diver, wanted to inspire us to be kinder to the oceans that sustain us. This feel-good, good-looking soap is beautiful and purposeful enough to become a permanent counter top fixture. Hello everyone! 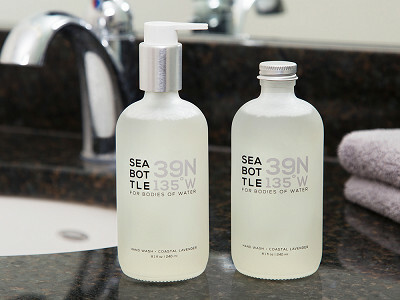 I'm proud to introduce Sea Bottle to The Grommet. I'd be happy to answer any questions you may have! Does this product contain lavender or eucalyptus? @Bonnie Lee it contains lavender essential oil, which provides the scent as well as desirable aromatherapeutic qualities such as relaxation. 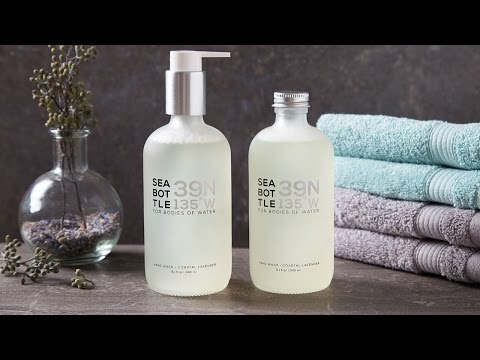 There is no eucalyptus in the Coastal Lavender scented version of this product. Hi, does this product come in sample sizes? It would be a great for for my subscription box. @Lakeesha The bottles are 8.1 ounces and unfortunately do not come in sample sizes at this time. I'm all for earth friendly products, however my pet peeve is that it even comes in a bottle! BAR SOAP is the only truly earth friendly way to go! We've done great for centuries with bar soap. Why all the *&^%$ bottles? really expensive soap but I kind of like the idea about it. I even love the look of the bottle. my main concern is the "fresh scent"? I am very sensitive to perfumes and just about all what I call chemical smells. so what kind of scent is this? is it added? @gravebane525 the scent comes from only lavender essential oil and it is pleasant and light, not overbearing at all. There is zero perfume (synthetic fragrance) in the product. Please try it and take advantage of the return policy if you have any issues. We think you'll love it though! 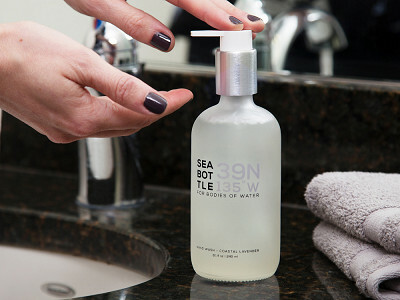 Sea Bottle’s natural hand wash drew us in with its fresh scent and skin-softening formula—and its mission to treat our oceans right. The sustainable soap is a beautifully presented alternative to the usual sink-side staple. Friend to both your skin and the sea, it’s composed of natural ingredients like organic aloe and sea kelp extract—with parabens, phthalates, or anything else synthetic purposefully left out. Once it’s done leaving you clean, this soap won’t harm our waterways. The sleek frosted glass bottle (it reminds us of sea glass) boldly shows the Pacific Gyre’s coordinates, an area of the Pacific Ocean that’s been particularly hurt by humans. Founders Jaeson Plon and Bradd Kern created Sea Bottle after Jaeson, a surfer and diver, wanted to inspire us to be kinder to the oceans that sustain us.